Boston College is sticking with coach Frank Spaziani -- for now. Clemson may turn to an in-house candidate for its open athletic director job. DeAndre Hopkins leads the ACC Sports Journal's player of the year watch. Duke quarterback Sean Renfree practiced, but who will start Saturday remains a mystery. Florida State coach Jimbo Fisher remains confident he can be the head coach and offensive coordinator. The audition begins for Georgia Tech interim defensive coordinator Charles Kelly. Opportunities arise for Maryland safety Anthony Nixon. Miami receiver Phillip Dorsett looks beyond his drops against Notre Dame. 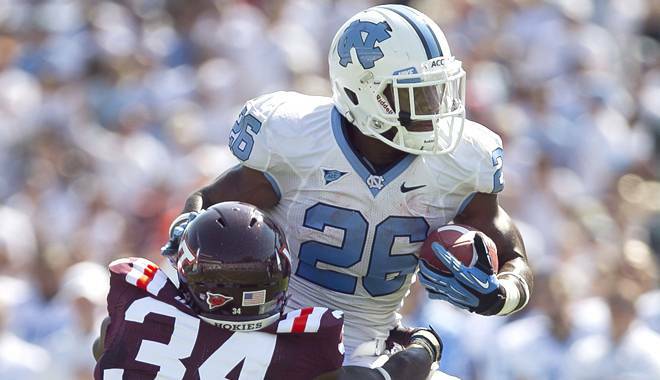 Giovani Bernard is running like other North Carolina greats. Brandan Bishop leads by example for NC State. 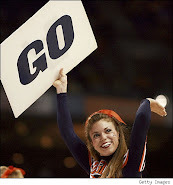 Virginia is treating its rivalry game against Maryland like a bowl game. Virginia Tech players are not ready to label this a down year. Dan Collins reports on what got the suspended six at Wake Forest into trouble. Boston College is starting to see a pattern in its losses. Clemson commit Robert Nkemdiche is getting pressure to consider Ole Miss. The best thing about DeAndre Hopkins? He's getting better. Duke makes gains on defense. EJ Manuel and Jimbo Fisher were on different pages about the pass game in the NC State loss. Al Groh is gone, but talent questions remain on the Georgia Tech defense, writes Mark Bradley in the Atlanta Journal-Constitution. It is a quiet week of depth chart changes for Maryland. Miami is looking to solve its defensive woes again. North Carolina is on the move. Relive NC State's win over Florida State through the eyes of fans. Virginia begins the second half of the season looking for answers. 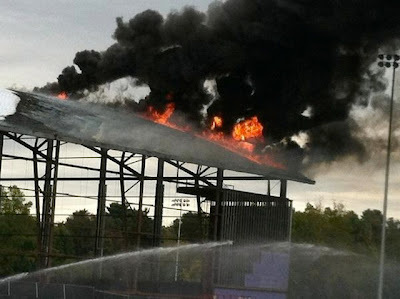 Fire damaged the Hoos' practice facility. Virginia Tech is going to try to get back to the basics on defense. Wake Forest kicker Jimmy Newman may have lost his starting placekicking job.